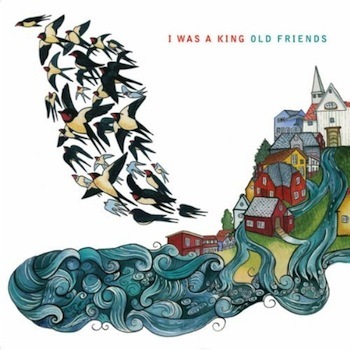 Old Friends by Norway’s I Was A King certainly feels familiar. Upon first spin, you’re immediately melted into a comfortable lull. The kind of warming pool of tunes to kick your shoes off and soak in. The album is a harmonic blend of hypnotizing avant-quirk instrumentals glossed with echoey, velvet vocals. Like Sufjan Stevens (whom they’ve previously collaborated with) dipped in shoe-gaze glaze, and Elliot Smith sheathed in pop-folk. The songs often begin in billowing waves, with beautiful balladries like “Snow Song” and “Here to Stay”, then quickly flutter into dreamy disarrays such as in track “Unreal”. Each piece has a story and feel of its own, but they all hold hands, moving fluidly in between. With its entrancing edge and appeasing ambient tones, Old Friends could easily be a new favorite.